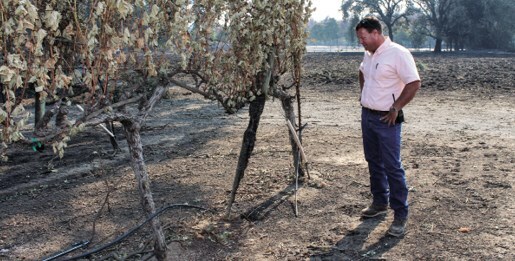 Sonoma County Farm Bureau invites you to participate in an agricultural fire recovery and resource town hall. The event will include resources from organizations providing agricultural information to attendees. Come learn about disaster programs for farmers and ranchers. Information will be provided on how to support the rural residents and agriculture communities. This event is free and open to the public. The Sonoma and Gold Ridge RCDs will be in attendance. 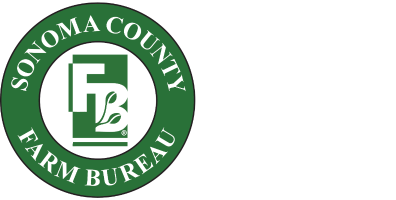 The Sonoma County Farm Bureau in coordination with local state and federal partners, will hold a community town hall meeting focused on agriculture relief and recovery programs from 5:30.m. - 8:00p.m. on Monday, October 30. The meeting will be held at the Sonoma County Fairgrounds, Garrett Hall located at 1350 Bennett Valley Road, CA in Santa Rosa. The meeting is in response to the recent wildfires in Northern California that have impacted rural property owners and agricultural operations in addition to multiple urban neighborhoods. Sonoma County Farm Bureau is convening local, state and federal leadership to address concerns and provide resources to rural Sonoma County property owners and agricultural business and employees. Sonoma County Farm Bureau welcomes Karen Ross, Secretary of California Department of Food and Agriculture who will be speaking about recovery efforts for local agriculture. Ahead of the event, Secretary Ross will be meeting with producers to tour affected agricultural operations in Sonoma County. All property owners, directly affected or not, are invited to learn about the long process of recovery and rebuilding. A portion of the event will include an opportunity to ask questions. Sonoma County Farm Bureau will take this opportunity to continue collecting information on how the rural community has been affected. Partnering organizations that will be represented on October 30th include: American AgCredit, Community Alliance of Family Farmers - The Farmer's Guild, Gold Ridge Conservation District, Sonoma County Department of Agriculture, Sonoma County Farm Trails, Sonoma County Sheriff, Sonoma County Board of Supervisors, Sonoma Count Tourism, Sonoma County Winegrowers, Sonoma County Horse Council, Sonoma Resource Conservation District, UCCE Sonoma County, USDA Farm Service Agency, USDA Natural Resource Conservation Service and USDA Rural Development, US Small Business Administration.